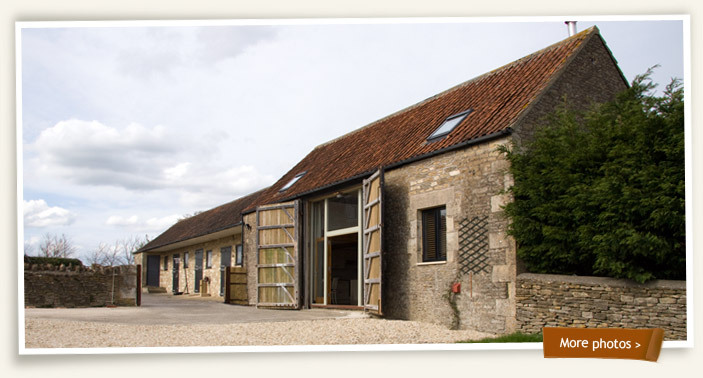 Willow Barn is a self-catering barn (cottage/rental) situated in the Wiltshire village of Holt, between the National Trust village of Lacock and the Saxon town of Bradford on Avon and within easy reach of Bath. The property has been converted to a high standard, and sleeps up to 4 people. It is situated down a private drive and in the grounds of a Grade II listed farmhouse overlooking the Wiltshire countryside. The barn is easily accessible from all parts of the South West, London, and the Midlands via junction 17or 18 of the M4. Railway stations nearby are: Bath, Bradford on Avon, Chippenham, Trowbridge and Westbury. (90 minutes from London to Bath).